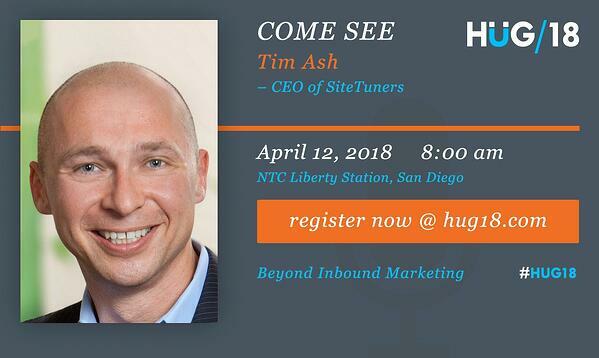 HUG 2018 is the largest inbound marketing workshop style event in the world, bringing together the brightest minds to advance the skills of business leaders, marketers, agencies, and students. "FACEBOOK COMMUNITY BUILDING: HOW BUSINESSES ARE CREATING MEANINGFUL SOCIAL INTERACTION THAT CONVERTS TO LEADS & SALES"
Businesses have long been able to build loyal communities using Facebook’s array of products and features including Business Pages, Groups, Events, Live video and more. However, as the Facebook landscape changes, how do businesses ensure their community generates consistent engagement and conversions? The good news is that, over the past year, Facebook has been ramping up the release of new products designed to support community building, especially in Groups. From metrics/insights, leaderboards, new Admin tools, to Stories, Watch Parties and more. 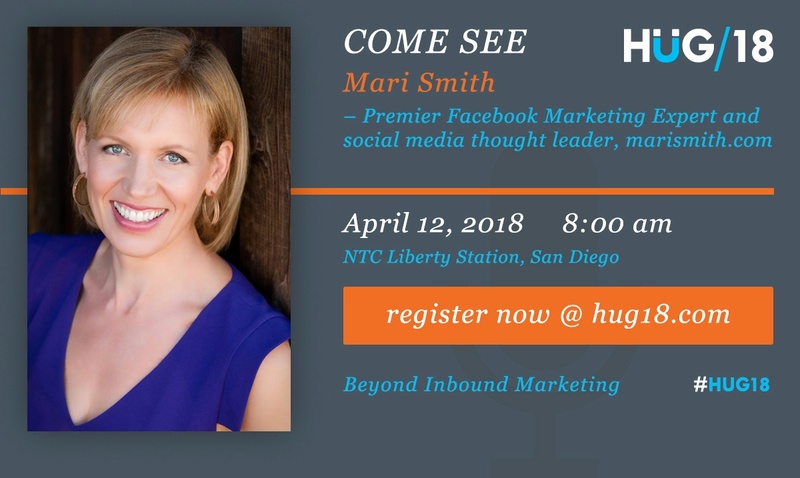 Plus, Facebook’s news feed algorithms are giving priority to content that ‘sparks meaningful social interaction.’ In this insightful talk, Premier Facebook Marketing Expert, Mari Smith, will reveal her latest strategies, along with proven evergreen approaches, to building a profitable Facebook following. Let's get beyond the conceptual and set our hype machines to "reasonable" for a practical talk on artificial intelligence. This workshop will go through the most common use-cases for artificial intelligence within growing companies and as well as the customer expectations driving its adoption. It will provide a core understanding of AI and framework for thinking about where AI could advance your growth strategies. 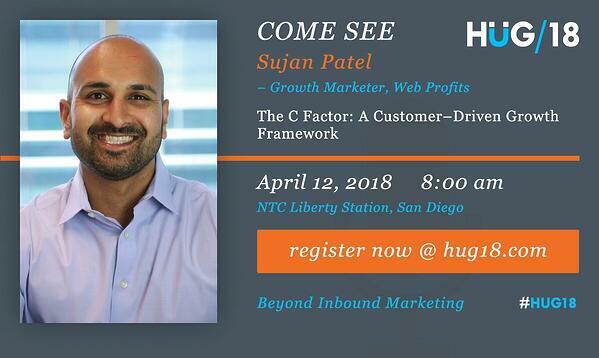 "THE C FACTOR: A CUSTOMER-DRIVEN GROWTH FRAMEWORK"
Learn how to leverage the 3 part framework of customer driven growth. Drive explosive growth by being customer obsessed, creating content that solves your customers problems and fills knowledge gaps & by creating a community. "MARKETING SIMPLIFIED: THE ONE PAGE MARKETING PLAN"
The age of creating a multi-page, complexed plan that is rarely used or abandoned is over. Marketers need more time than ever to execute efforts and hence they need direction that is simplified yet thorough. Developing a simple marketing plan is critical to success and gaining this skill to craft and implement quick, creative and compelling promotional strategies is the key to positively impacting position and the bottom line. 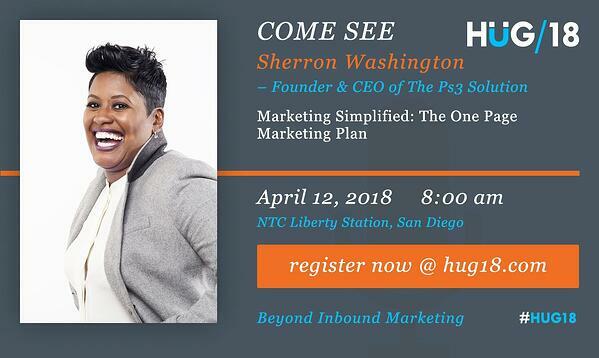 This interactive session teaches you to maximize marketing efforts quickly and effectively using a streamlined, one-page marketing plan. 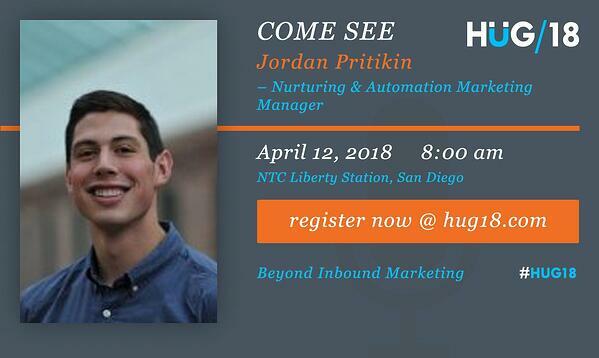 "HUBSPOT’S NURTURING STRATEGY THAT GREW ENGAGEMENT BY OVER 1000%"
What is nurturing and how to think about it. The right way and wrong way to nurture your contacts. How HubSpot’s nurturing strategy has evolved over the past 3 years and what we’ve learned from each iteration. "DOUBLE YOUR ONLINE REVENUE WITHOUT DOUBLING YOUR TRAFFIC"
"IT’S A COMMUNITY, NOT A COLLECTION"
Are you collecting followers like conference attendees collect swag? Or are you developing meaningful relationships that lead to better business opportunities? “Community" is a buzzword tossed around often, with little definition of what it takes to be successful, or mindfulness for the wants and needs of members. 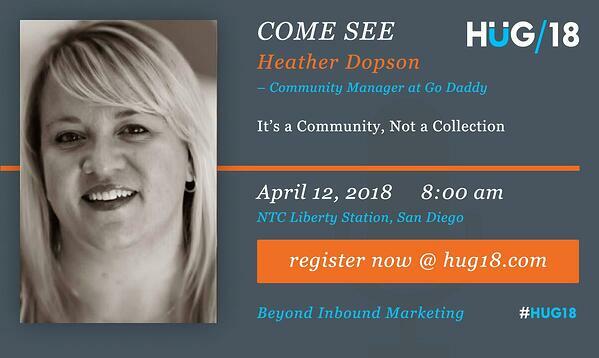 Heather to the rescue, sharing superpowers on how can become a master architect of a community with members that are passionate, responsive and aligned with your business. 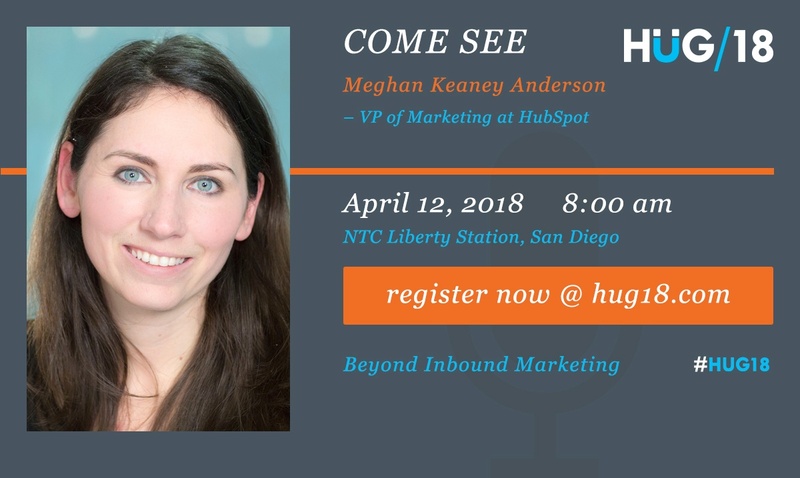 You’ll learn about her role as the Community Builder at GoDaddy, and KPIs driving success WAY beyond the number of social fans or followers. 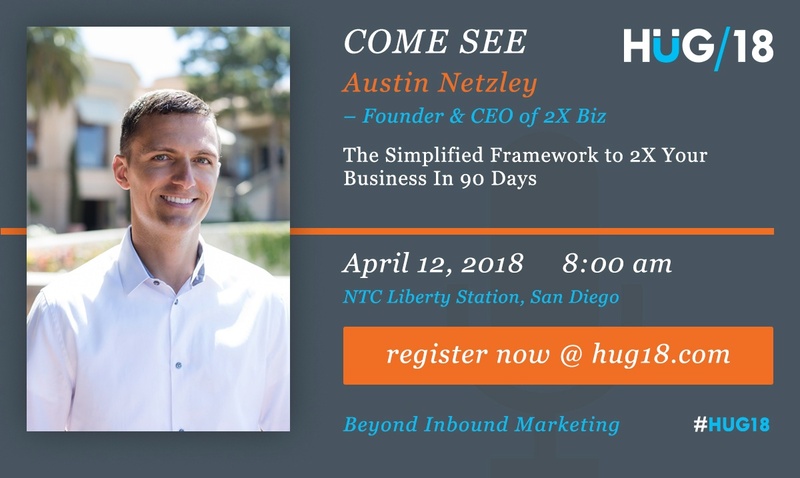 "INBOUND ORGANIZATION: HOW TO BUILD AND STRENGTHEN YOUR COMPANY'S FUTURE USING INBOUND PRINCIPLES"
We’re in a major shift in a fundamental aspect of how businesses grow, how buyers purchase, and how businesses build meaningful conversations and customer relationships. As Inbound marketing believers, you know that. 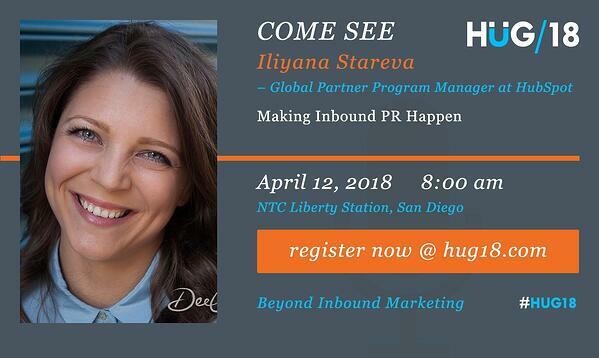 Companies who align their mission, strategies, action plans, and tools with the way buyers think, learn, discover, and purchase, in other words, align with Inbound beliefs, will have a huge competitive advantage. Inbound Organization shows leaders how to build their company's future around Inbound principles and strengthen the structural foundations necessary to deal with the changes in buyer behavior. 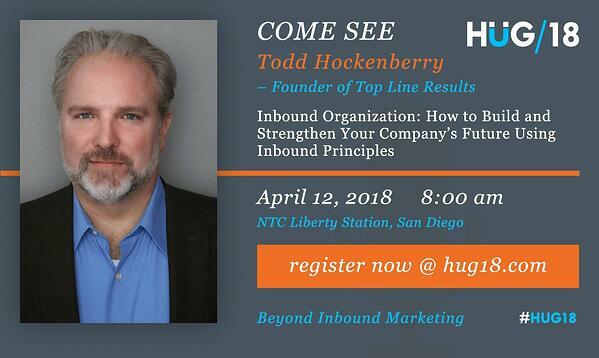 Todd explains why Inbound ideas and creating a remarkable customer experience belong in the boardrooms and on the desks of founders, entrepreneurs, business leaders, and anyone who has a responsibility to lead their organizations into the future. "5 PROVEN VIDEO TEMPLATES TO DIFFERENTIATE YOUR CUSTOMER EXPERIENCE"
Video consumption and creation have reached dizzying levels, but it's still tough to know what types of video to prioritize for your business. 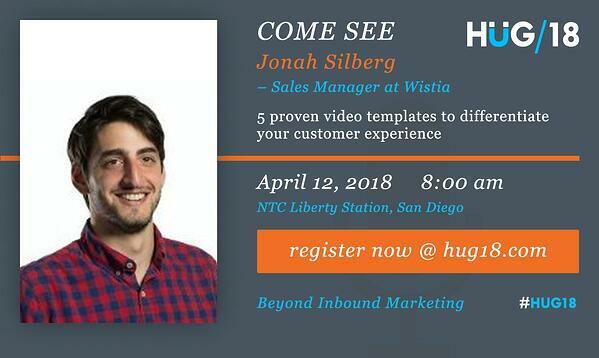 In this session we'll talk through 5 proven videos anyone can create with simple tools to reach your audience on a more personal level. Expect replicable examples, along with tips for setup, scripting, on-camera delivery, and basic editing. Already producing video across your business? Think of this session as a crash course in motivating members of your team to be more effective content creators. "BUILDING A LOVABLE BRAND AND PROFITABLE BUSINESS WITH INBOUND"
In this session, Bob will share the story of IMPACT starting with their journey of being just another HubSpot partner agency to becoming one of the leading resources in their space, transforming the company into a brand with a loyal following and multiple lines of business. He'll share the 7 most important things learned along the way as well as IMPACT's vision for the next 3 years. 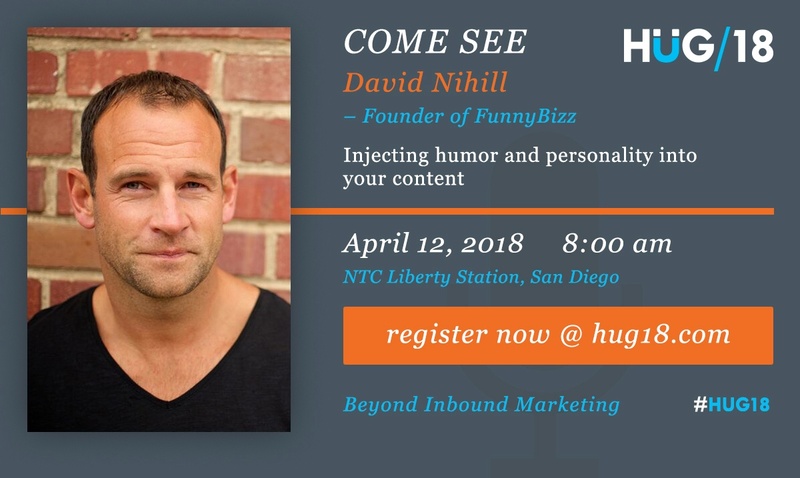 "INJECTING HUMOR AND PERSONALITY INTO YOUR CONTENT"
Humor is a critical tool modern day communications, marketing and content creation. Why? Because a dose of humor will grab and hold your audience’s interest, making you (and your message) memorable and more persuasive. 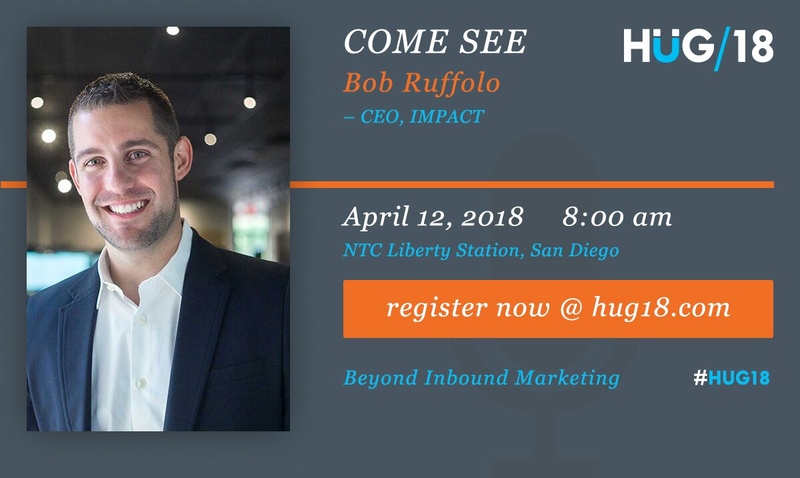 In this talk you will learn why and how to use humor to make an impact, add value and connect with customers on a level that not only inspires loyalty, but causes coffee to shoot out their noses. You’ll leave with the tools you need to create more memorable, entertaining, and engaging content… every time. 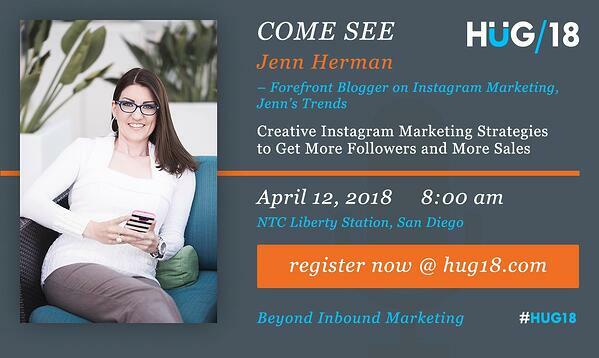 "CREATIVE INSTAGRAM MARKETING STRATEGIES TO GET MORE FOLLOWERS AND MORE SALES"
"THE PROVEN STRATEGY TO 2X YOUR BUSINESS IN 90 DAYS"
"Setting Up Your Martech Stack: A Blueprint for Success"
In this session, Jon Wuebben first explains what is the "stack" and why you need one, the main idea being that to truly engage prospects/customers across various touch points, you need to use a unified approach with your technology and people. He'll show that by sharing data across your marketing technologies, including the big 3; content management, CRM and marketing automation, you can have greater success overall and bring efficiency to your strategic work. He'll close the session discussing examples of solid martech stacks being used out there today and how the stack can ultimately impact sales. What is the "stack" and why do I need one? 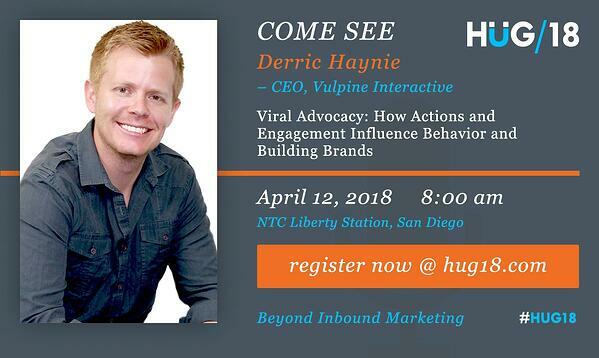 "VIRAL ADVOCACY - HOW ACTIONS AND ENGAGEMENT INFLUENCE BEHAVIOR AND BUILD BRANDS"
"WHY YOUR CONTENT MARKETING IS FAILING – AND HOW TO SAVE IT"
Take a provocative trip that will have you questioning all of your content marketing assumptions. Running faster on the he content-creation gerbil wheel is not the answer. Stop spewing garbage that no one is interested in. Learn how to create compelling content that actually helps your website visitors move down the sales funnel, and makes you money in a predictable manner. Still have questions about whether HUG18 is the right event for you? Check out our last event recap for more info. SD Inbound is a 501(C)(3) founded to provide free and low-cost education to the local San Diego professional community. 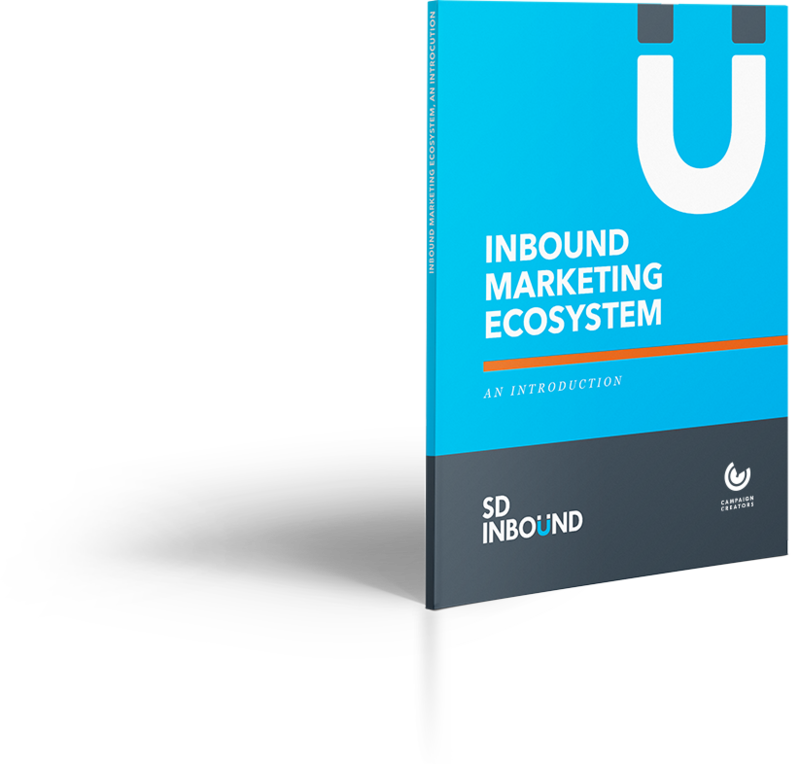 Learn more about SD Inbound and how you can get involved today.